New Photos Show The Rapid Pace Of Great Barrier Reef Bleaching : The Two-Way Over six months, healthy coral is bleached and then covered with algae. Scientists say bleaching has hit 93 percent of the Great Barrier Reef in Australia's "biggest ever environmental disaster." Fish swim amid bleached coral near Lizard Island, Australia. The massive bleaching hitting the Great Barrier Reef off the coast of Australia is likely that country's "biggest ever environmental disaster," says Dr. Justin Marshall, who has studied the reef for three decades. Only 7 percent of the reef has escaped bleaching, according to researchers at the ARC Center of Excellence. Marshall, a professor at the University of Queensland, says the destructive phenomenon is happening in an area the size of Scotland. "Before this mass bleaching started, we already were at the point of losing 50% of the coral cover on the Great Barrier Reef. This, I think, will probably take another 50% off what was left," Marshall says. Over the course of the last six months, Marshall and his colleagues with the citizen science project Coral Watch have documented the degradation of reef structures near Lizard Island, one of the worst-hit areas. They photographed the same formations of coral multiple times, showing clearly the pace of the destruction. "It was a beautiful, wonderful paradise of reef structure and animals, and it's not there anymore. Or it is — but it's a slime ball, it's a gloomy place," Marshall says. 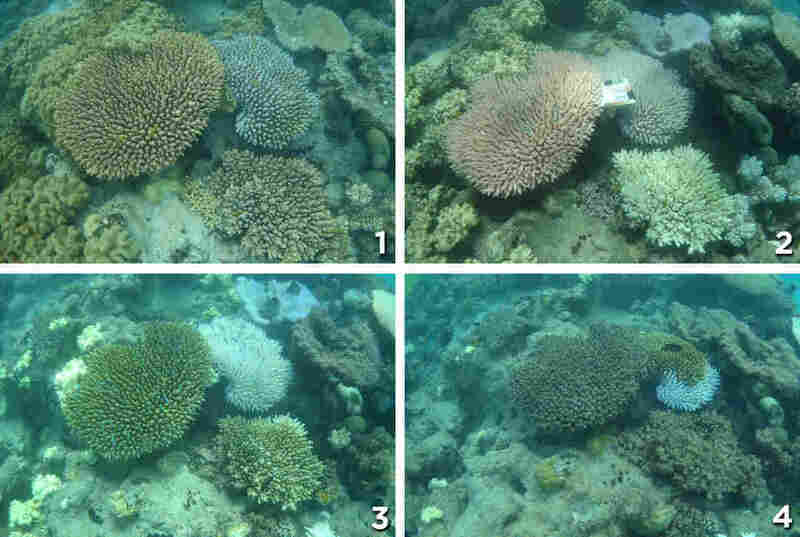 In this series of photos, you can see first that the coral is healthy – then, bleached. Algae begin to grow on the coral, which later intensifies, eventually resulting in disintegration of the coral and the loss of a habitat. 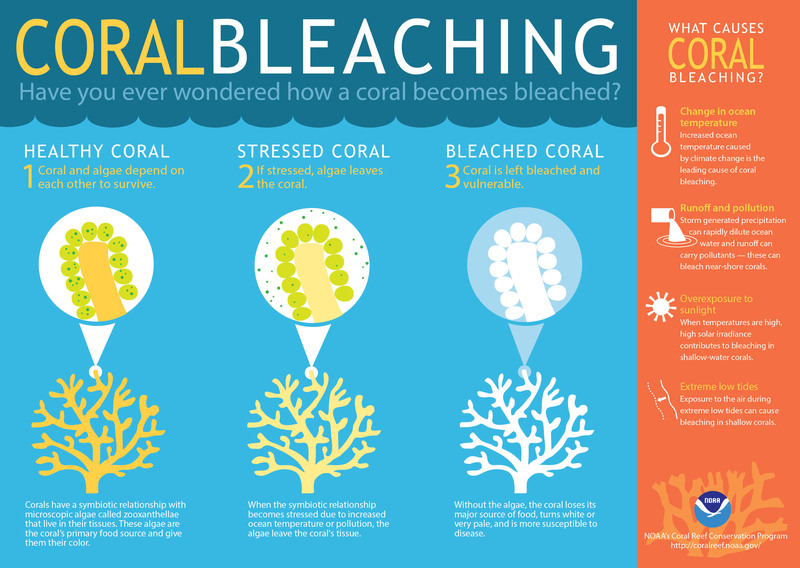 "Coral bleaching occurs when the living organisms that make up coral reefs expel the colorful, photosynthetic algae that normally live inside their bodies, and provide them with food. Those algae give coral reefs their color and disappear when the reefs are exposed to stressful climatic conditions, such as temperatures even a few degrees higher than normal." The phenomenon is linked to global climate change, says Marshall: "Mass coral bleachings have only been happening for 20 years, and they are irrevocably, totally, absolutely linked to man-induced climate change." The New York Times reports climate change has compounded "heat stress [to the reefs] from multiple weather events including the latest, severe El Niño." 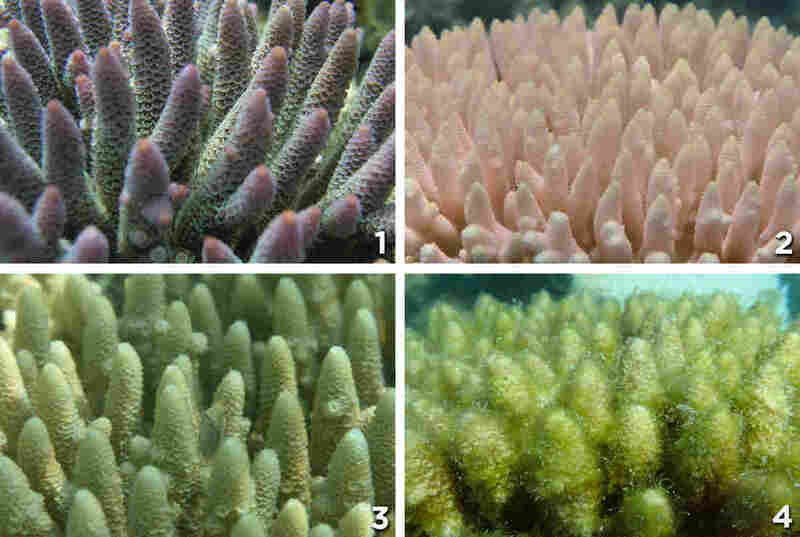 This series of images taken by Coral Watch shows a close-up of healthy coral's progression through bleaching, and later covered with thick algae. 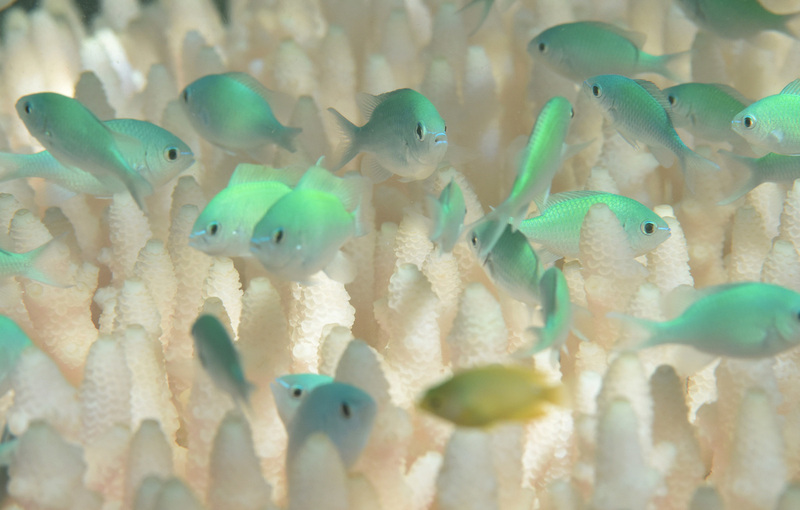 Scientists are concerned about reefs worldwide. "We are currently experiencing the longest global coral bleaching event ever observed," C. Mark Eakin, the Coral Reef Watch coordinator at the National Oceanic and Atmospheric Administration in Maryland, tells The New York Times. "We are going to lose a lot of the world's reefs during this event." Now, Australia's summer is ending and the water is cooling down. Marshall says some of the bleached coral is beginning to recover — but much of it is dying. 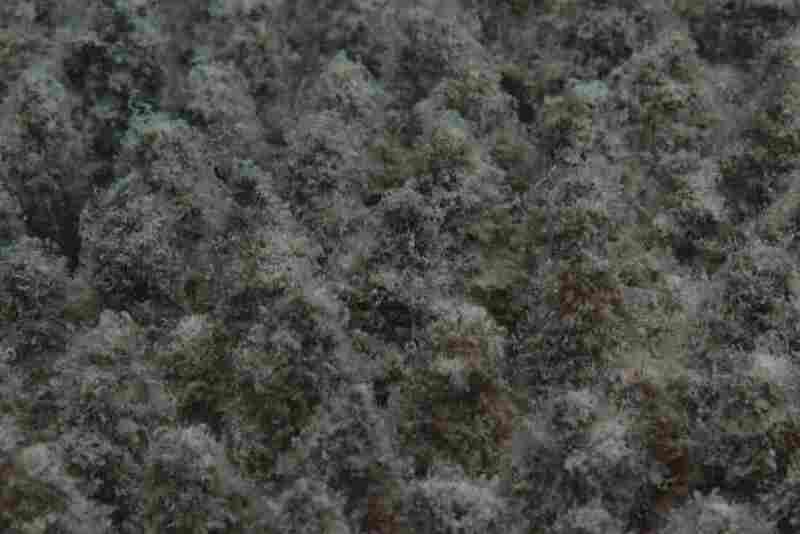 He says that reefs in the area where these photos were taken could see 90 percent mortality. Longer term recovery can happen over the course of years and even decades, should corals regrow and recolonize. Marshall compares it to "cutting down a forest and then regrowing trees." He adds: "I will probably never see the Great Barrier Reef in the state that it was in six months ago ever again."